Celebrating a great weekend at PrideFest! Thank you to all of you who came by to see us at PrideFest. We had a great time connecting with you and enjoying a few laughs. Bradley and I were deeply moved by all of the personal stories that you shared with us and we are very excited about being an integral part of the Denver community. A lot of people came up asking us questions about what acupuncture and Chinese Medicine can treat. This is a totally valid question because most of you have heard that acupuncture is only good for pain. It may be of great surprise to you that we can treat a wide range of conditions, everything from the common cold, insomnia, allergies to headaches, menstrual issues and everything in between. In fact, Chinese Medicine has been used for years to treat the whole family. A large selection of fresh herbs is always readily available in most Chinese family’s kitchen to quickly prepare a warm herbal tea for all sorts of ailments. The Chinese became so familiar with these herbs that they were able to catalogue their properties, track which organs each herb was most beneficial for, which direction the herb moved in the body, what conditions it treats, and what it’s contraindications were. These herbal prescriptions are what is commonly used today to enhance your treatment because they have been proven throughout history to work effectively. Chinese Medicine also offers a wide variety of modalities that treat many conditions based on an ancient system of diagnosis of the whole body after a thorough intake. These modalities include fire cupping, moxa, tuina massage, auricular therapy and guasha. They can be used alone or in conjunction with acupuncture to achieve health care objectives. This is why acupuncture has captured the attention of the world and is fast becoming one of the most popular alternative treatments today. We invite you to schedule an appointment with either Bradley or Joaquina to talk about what Chinese Medicine can offer you. 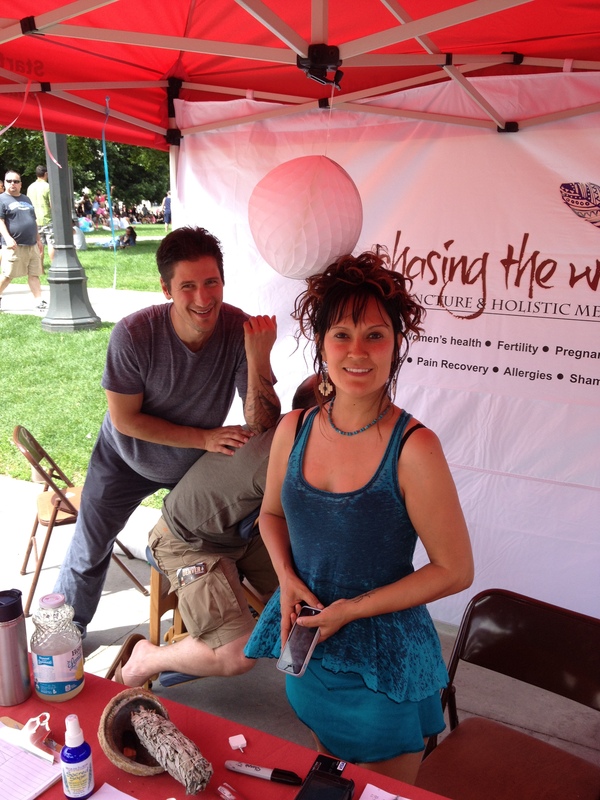 ← Chasing the Wind at PrideFest this weekend!